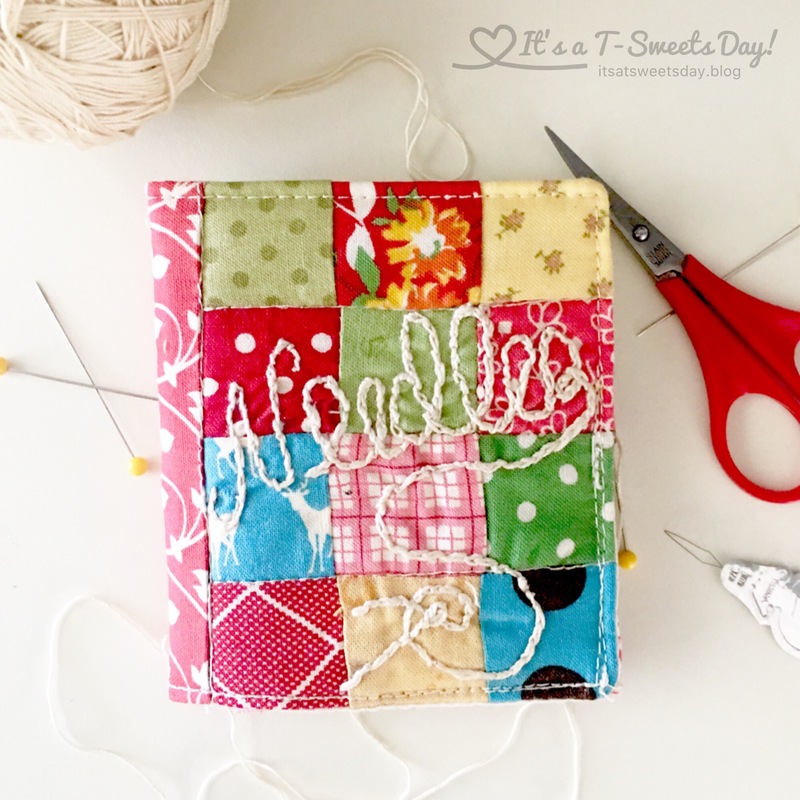 Scrap Happy Needle Case – It's a T-Sweets day! 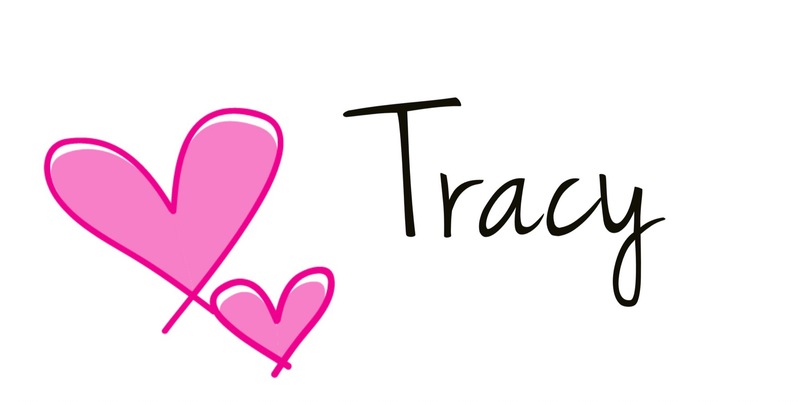 Published on August 15, 2017 August 15, 2017 by Tracy @ It's a T-Sweets Day! Hello and Happy Tuesday! 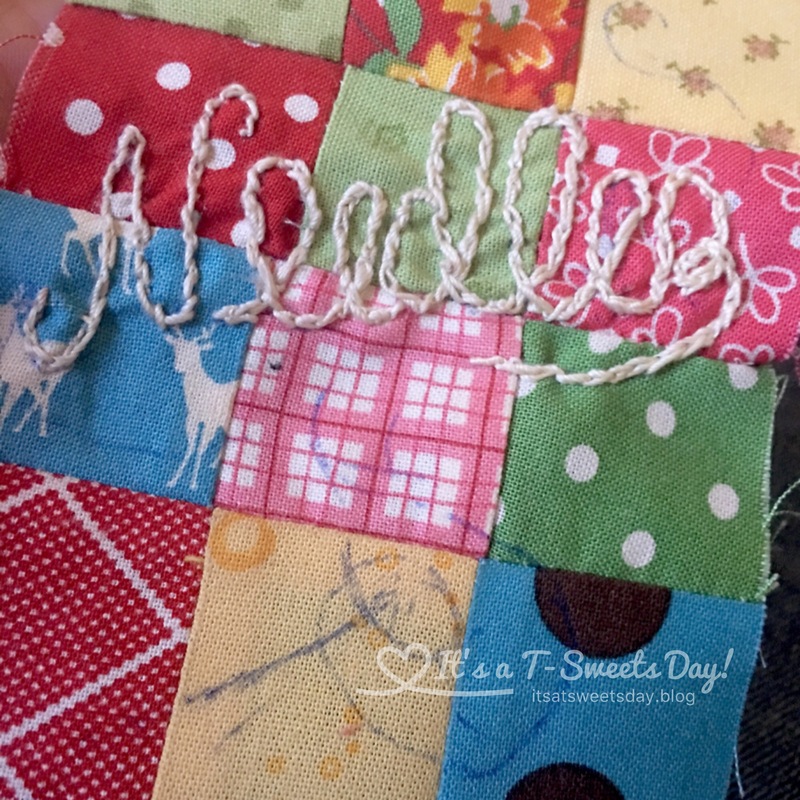 Today is a fun day because it is Kate’s Scrap Happy round up day:). 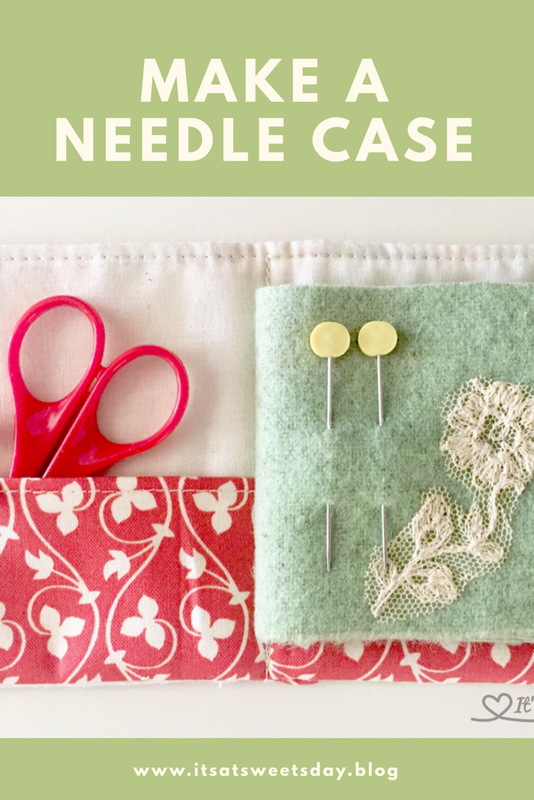 For my Scrappy project I would like to share with you my beautiful Scrap Happy needle case. I am part of a shoebox swap Christmas gift exchange. I have been getting ready all year. My swap friend said she needed a needle case. 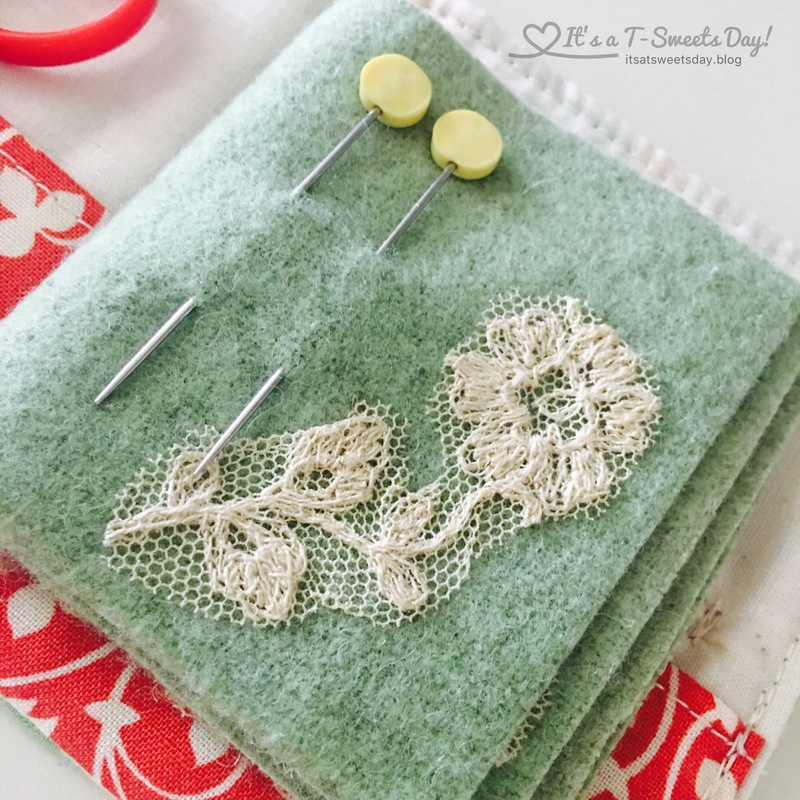 Sew…I made her one! Isn’t it cute? For my inspiration I used a pattern from Nana Company that can be found here. I didn’t really follow her instructions as much as I just kind of looked at them for inspiration. It measures 7″x4″. 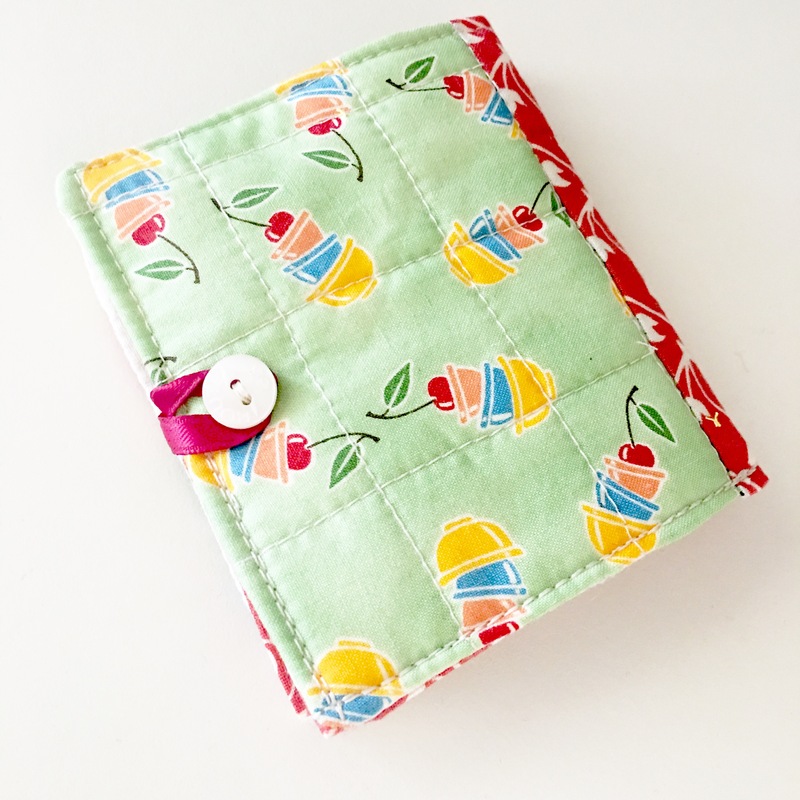 I sewed my tiny 1 1/2″ scraps to make the front. I drew a free hand Needles on it and stitched it using an easy back stitch with double the thread. The back is just a single piece of fabric with quilting and a button closure:). But the really fun part is the inside. I made a little pocket to hold scissors and needle threaders:). The pages are made from a soft, yummy wool. Each page has a bit of lace for embellishment. Isn’t it pretty? 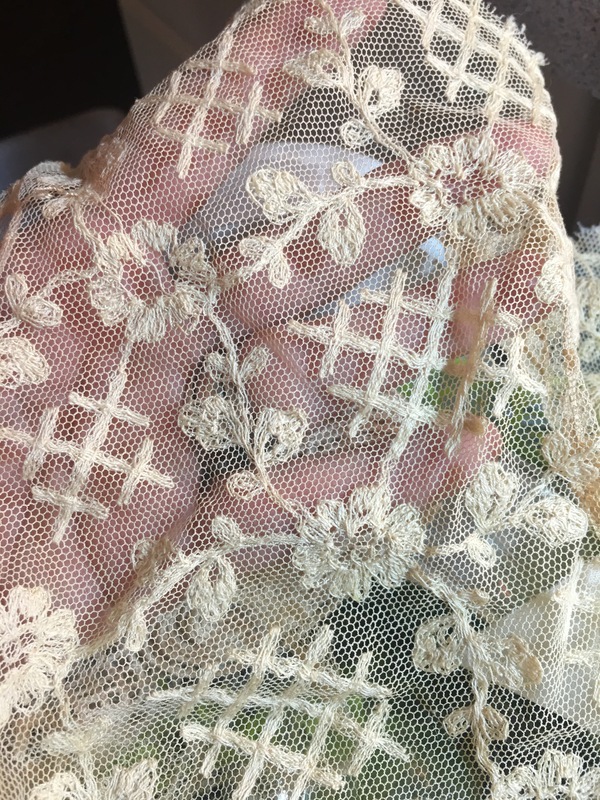 I found this lace as I was rummaging through my ribbon and lace scrap drawer for embellishments. I knew it would be perfect! 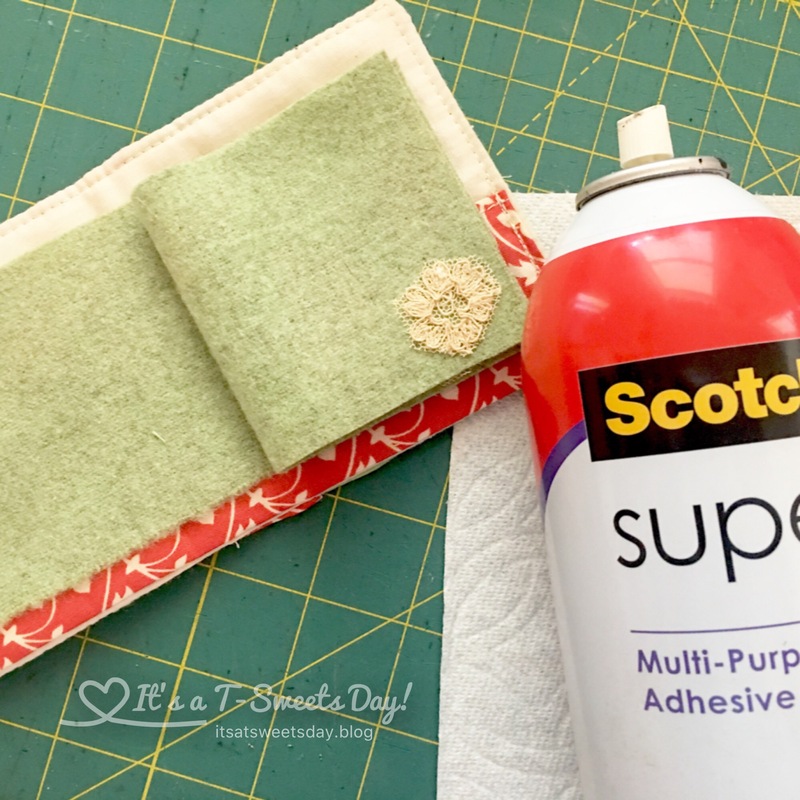 I cut around the flowers and then sprayed them on the back with Scotch permanent fabric adhesive. I did this on top of a paper towel to keep my table clean. Then I glued them to the wool page. Easy!! I hope you have a Happy Scrappy Day! Previous Down the Rabbit Hole at Last! Next It’s a So Lucky Scarf! This is just the sweetest most gorgeous way to use scraps ever, and that’s after seeing Tialys whale which is delicious. Love this so much Tracy. Thank you Cathy!! I am going to have to head over and check out that whale:)! That’s really cute! 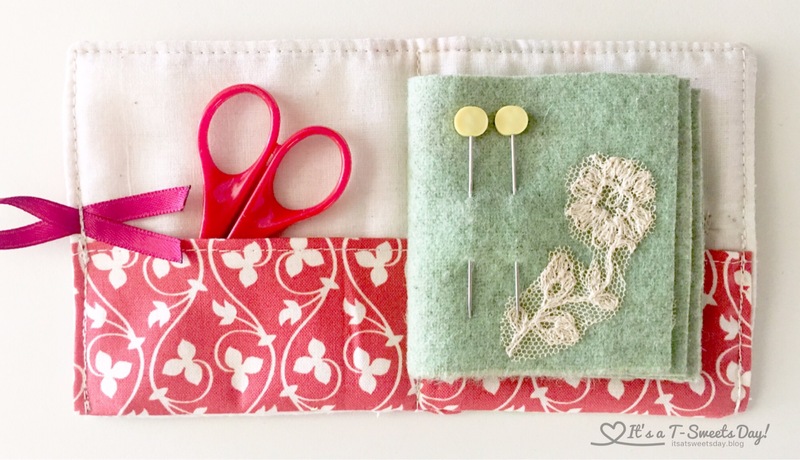 I would love to make something similar for a little traveller’s sewing kit. Oh you should! It would be the perfect size:). AND it would use up a few scraps:)! So cute! I would probably lose this though hahaha. Organization is not my strong suite. 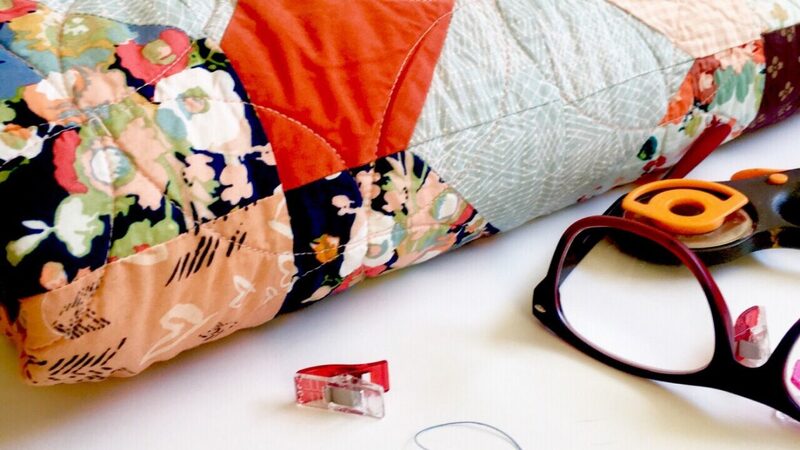 this is simply gorgeous, Tracy, and such a wonderful way to use scraps! Very cute indeed! And a very pretty and creative way to use up scraps. Great work! Awe! Thank you Mrs Craft! 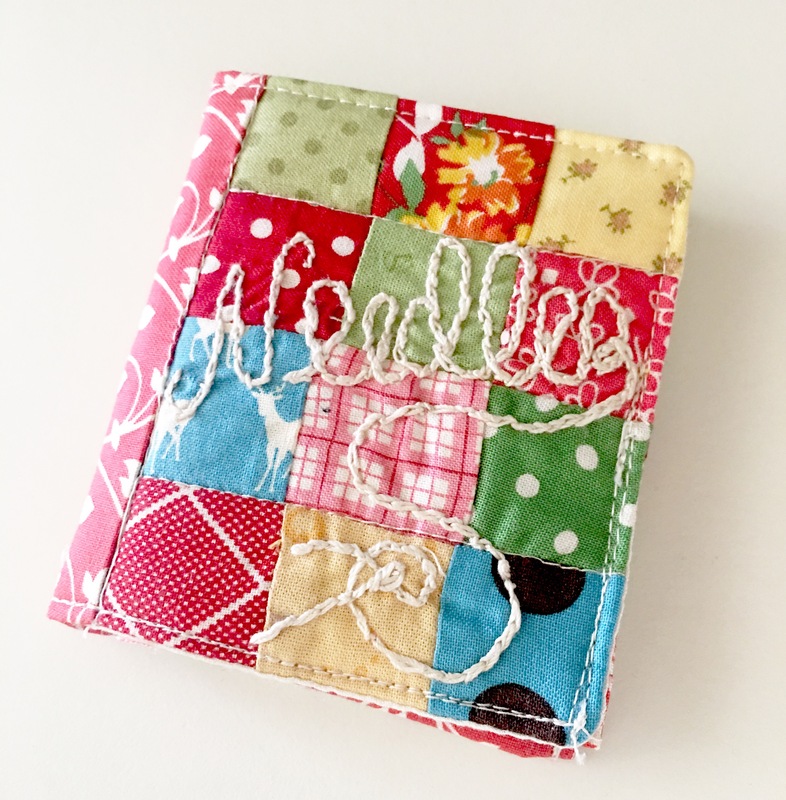 The recipient of your scrappy needle case is going to be charmed by it! Well done!